By the way, I notice that the IMF has not even mentioned a single instance of secret or undisclosed debt, nor has it said the debt is unsustainable, only that “unrestrained borrowing could lead to debt distress”, a far cry from “unsustainable” which, at this stage, is an imaginary situation. I cannot see how a president under whose watch no further consumptive borrowing has occurred, can then proceed to “unrestrained borrowing”. When Sata arbitrarily ordered a 100% pay rise for public workers – huge cheers even though it hugely increased the burden on the public purse. The lowest paid got some 300% from K680.00 per month to more than K2,000 per month. No one asked how these huge increases would be financed over the long term, and *I don’t recall our pundits questioning the wisdom of cutting the PAYE tax by raising the tax threshold to K3,000.000. * Having cut the income tax for the bulk of public service workers, how were we to fill the gap in the budget punched by the huge prise and the simultaneous tax cut? Today, we are claiming that the shortage of funds in the Treasury is because of Lungu? How about Sata arbitrarily cutting the maize price for millers from K65.00 down to K55.00 per bag just to prove that he could reduce the price of mealie meal? Who picked the tab for the loss of K10.00 per bag? We are now paying for that decision. Oh! Who paid for the free fuel dished to Malawi at the beginning of 2012, who picked up the tab? We forgot, ka? And the free maize to Zimbabwe, who paid? We are paying for that now, too. And when Sata cancelled the proposed Turkish Airlines’ proposed PPP or BOT for KK International and went to China to borrow US$400m, there were very loud cheers. Yes! Sata is the man, Banda had sold KKIA, Sata has stopped him. None of our pundits questioned the wisdom of ditching a US$400m PPP or BOT in favour of a US$400m *loan*. Now we are complaining that we owe too much? We should have gone for the PPP – Turkish money, a brand new international terminal in exchange for a 25 year lease to operate the facility, pay the costs and collect the money to share. After 25 years, they leave and we get the terminal. But, no! In Zambia every deal is suspicious. President Sata then arbitrarily cancelled the Zambia Railways lease – more loud cheers even though it meant paying penalties. Then he threw US$120m from the first Eurobond at Zambia Railways *without any feasibility study as to what needed to be done and at what cost* – more loud cheers! (+ (:-4 5*), we don’t know what work was done to improve the track because trains are crawling along at 15 – 20km/h. And we have not seen an account of what the US$120m was spent on. Well, the Libyans wanted their US$430m back, in cash, plus their investments, plus compensation etc. That would have punched a sizeable hole n the 2nd EuroBond, and nobody told us how that has gone. And then President Sata cancelled the border posts with the Israeli company who would have spent their own money, but were accused of being a front for Rupiah Banda. Mr.Sata went and borrowed more from China to build the border posts. 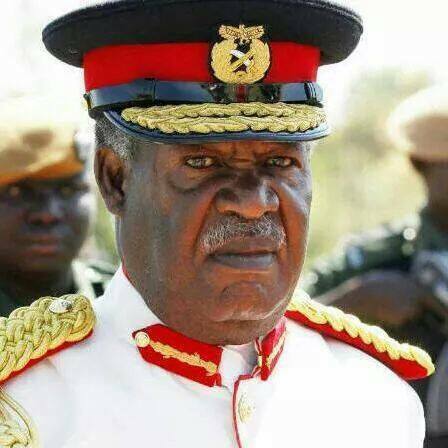 Before all that, President Sata spent hundreds of millions recalling Rupiah Banda’s and Levy Mwanawasa’s diplomats to make room for his new diplomats, many of whom would be his own relatives. People were flown back home from all over the world and then Mr. Sata’s appointees flew out. It wasn’t even an urgent situation but Sata’s will had to be done. Millions of dollars wasted. Oh! Then he decided he would get rid of the senior defence people who had been retained after they reached 55 years of age. President Sata simply ordered the lot out – pay them off and they must vacate their government houses immediately, he ordered! Millions more wasted in termination payments, instead of waiting out their contracts. I don’t recall anyone asking President Sata asking what the 2nd and 3rd Eurobonds were to be used for, because China was quite ready to finance infrastructure projects, having pledged US30bn at the 2012 China – Africa conference. The third Eurobond was at 9.25% at a time that bank interest rates were at around 1.5%. And yes, the 3fd Eurobond was announced on 28 July 2015 (@Mauice Makalu) so clearly it wasn’t Lungu. I would be interested to know how Lungu ends up taking the rap? I don’t recall that he emptied Lake Kariba so that he could import power from Mozambique, or that it was his decision that we should have a Presidential by-election in January 2015, which cost a pretty penny. He had nothing to do with the arrangement, as he was just a candidate himself. Kariba was emptying rapidly already, so it fell to Lungu to find a solution to the power crisis. Should he have let the mines shut down due to lack of powered? There were layoffs pending, anyway as the copper price was declining rapidly. What was Lungu supposed to do about that? So, I don’t buy all these stories of Lungu “failing to manage the economy; what we are going through are the effects of Lungu’s predecessor’s decisions which depleted the Treasury, spending money in 3 years which should have been spent over a longer period. The expenditure of 2010 – 2016 finally caught up with us in 2017. There is nothing mysterious about our current financial problems – bad decisions early in the PF presidency have come back to bite us, and they are definitely not ECL’s fault.